The Santander Bravo Credit Card currently has an Informr score of 8.6 out of 10. This score is based on our evaluation of 2 sources including reviews from users and the web's most trusted critics. Santander Bravo Credit Card is typically available to those with excellent credit scores (650 or greater). If you spend a lot on everyday purchases, the Santander Bravo credit card may be a great pick. It offers a strong 3x points on supermarket, gas station and restaurant purchases, and its bonus-point cap is high. On combined purchases with gas and groceries per calendar quarter. On combined purchases with restaurants and groceries per calendar quarter. On combined purchases with restaurants and gas per calendar quarter. It has no stand out features that would make it extraordinary. It also comes with an annual fee. 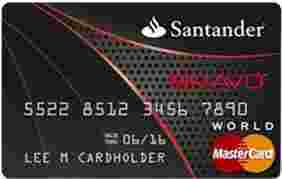 However, before you completely disregard this card, what makes it worthwhile from it’s practically standard rewards and bonus structure is that there’s no balance transfers nor cash advance fees attached.